A roadside Indian food stall. To get a true taste of India’s long-cultivated culinary traditions, visitors often are advised to sample the various dhaba dining establishments along the roads throughout the country. This is India’s version of fast food, which as of 2011 has yet to be replaced by more commercial establishments. Dhaba evolved from Punjabi customs and typically offers more standardized Punjabi cuisine, from tandoor-baked naan and roti to masala-laden dals and chicken dishes.This name reportedly originated in the Punjab region of India, which neighbors both India and Pakistan, and has come to epitomize these countries in its food. Its flat breads are generally made in the customary tandoor oven. These ovens also are frequently used to cook spiced chicken on skewers, called tandoori chicken, as well as a number of other dishes. Many dhaba stands have both vegetarian and non-vegetarian offerings. India reportedly has more devout vegetarians than everywhere else in the world combined. These customers can fill up on various tandoori breads, mashed lentil dishes called dal, and various curried entrees that are heavy on vegetables, rice and paneer — the local cheese. Throughout many of these dishes, the Punjabi masala, or blend of spices, is a common theme: ginger, onion and garlic. Hi friends! Here is a healthy, never failing recipe of a delicious dal / lentil you will like to add to your party menu.Urad dal, also known as white lentil or black lentil is a kind of bean from List of Indian Dals and mostly used in Southern part of Asia. Urad dal is used as a major ingredient in Indian cuisine for preparing a healthy diet. Urad dal has protein, fat, and carbohydrates which is required by the body. 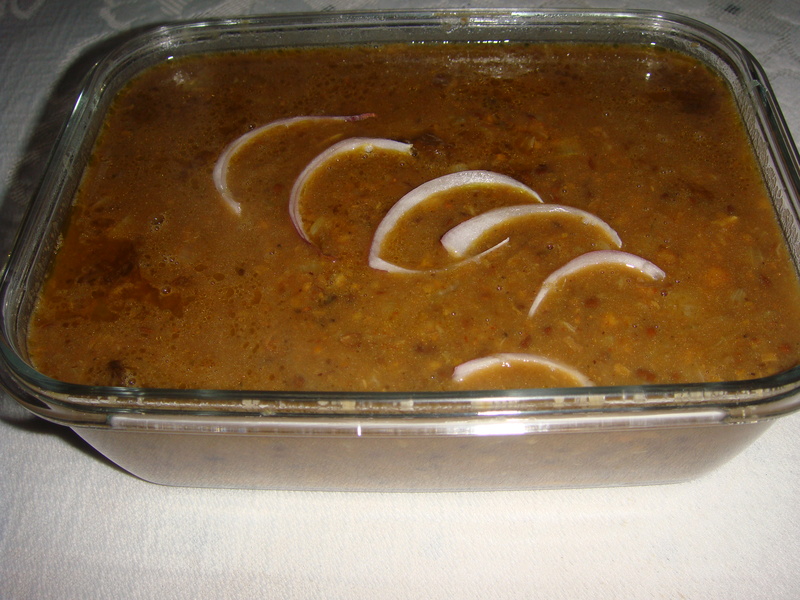 This dal is one of the richest sources of proteins and Vitamin B. On high flame pressure cook the Urad sabut/ black gram lentil and chana dal along with 500 ml water, turmeric powder, grated ginger and salt. After pressure is formed, reduce the heat to low flame, cook for twenty five minutes. Turn off flame and once the pressure reduces, remove the dal and mash it lightly with the back of a ladle. Add another two cups of water and bring to a boil. Reduce flame and simmer. While the dal is simmering, heat ghee in a heavy bottom pan, add asafetida, cumin seed, the bay leaf, coriander powder, and cinnamon stick and once it sizzles, add chopped onions, fry till light golden, add crushed garlic, gram masala and sauté the seasoning for five six minutes more. Add the seasoning to the simmering dal and mix well and simmer for ten – fifteen minutes, till well blended. Turn off the stove and remove the dal in a serving bowl. Serve hot with rice pulaos, Raitas ,Salads and Indian breads of choice! For authentic flavor, the dals are cooked on slow fire after taking out of the pressure cooker. Using ghee in the tadka gives a rich flavor to the dals/ lentils. To make dal more spicy and fragrant, half a teaspoon of garam masala is added towards the end of the cooking process. Black gram is a healthy pulse as it is rich in iron content. This helps boost the energy levels in the body and keeps you active. Urad Dal is good source of protein in vegetarian diet. This makes these beans an inexpensive, economical and tasty protein source. Urad dal has anti inflammatory properties. Usually a hot poultice of black gram is used in inflammation of joints and muscle pain. Urad dal also has various beauty benefits. Applying urad dal face packs is good for the skin as it prevents the formation of fine lines. Moreover, black gram also helps get a fair and flawless skin. The best benefit of ingesting urad dal is that it enhances digestion because of its rich fiber content. Urad dal benefits the health as it has both soluble and insoluble fiber which is good for digestion and also prevents constipation. Aside from reducing cholesterol, black lentils also boost health. This advantage is linked to the rich magnesium and folate levels that prevent damage to the arterial walls. In addition, magnesium boosts cardiovascular health through increasing blood circulation. 1. Chana dal is high in fiber and helps to lower cholesterol. 2.It also has a very low hypoglycemic index, which is important for those with diabetes. 3. Chana dal is a helpful source of zinc, folate, calcium and protein. 4.It is low in fat and most of it is polyunsaturated. 5.Chana dal is extremely delicious in taste, full of nutritious and can be digested easily.